Going over the words of Jaguar officials we’ll have to believe their statement claiming Jaguar XJ 2012 to be their best. Well we didn’t believed this at once an decided to have a closer look and eventually with every close step innovated its bold, comfort and high performance specs and features. 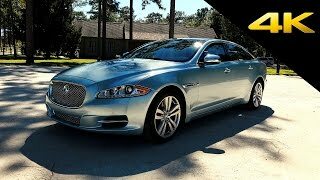 Jaguar XJ 2012 is available in both long and standard wheelbase variants but concluding with out view won’t be justice with car lovers like you across the globe and certainly many of us see to Jaguar for its refined luxury and performance rise with every design. 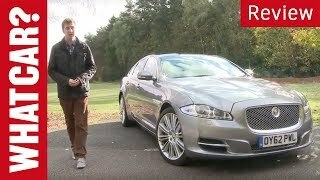 So without bringing any conclusion we would like to invite you here to have a drive of Jaguar XJ 2012 with us and analyze closely if this new model stands at your expectations. The first thing to notice with the very opening of Jaguar XJ 2012 doors is the Chrome and Piano black detailing giving an eye grasping blend to the leather and wood veneer surfaces. Moving ahead with those almost popping eyes come a 12.3 inch HD virtual instruments walking parallel (as in joining the looks) to the Dual view 8 inch touch screen. By dual view it means while the passenger will enjoy the DVD experience or will keep self busy watching TV driver won’t be interrupted and with ease will surf through the vehicle functions or satellite navigations. Model holds 1200W audio system giving fine top of the class quality audio. The rear of Jaguar XJ 2012 holds comfort pack offering seats with electric adjustment feature, giving rest to your back at recline angle with four way lumbar support and massage function. Adding to comfort Headrest and footrest joins with the front seat coming with the folding feature to increase the legroom when not occupied. Talking about long-wheelbase model it has an executive touch with foldable laptop trays, a little above in standard carpeting and other wood veneer and leather works that commendably serve the purpose. The exterior of Jaguar XJ 2012 well matches its interior and blends to an extent with a sportier look. Looking at the exterior its hard to expect space inside but the architecture gets to your brain with the narration of fact, ‘its performance oriented’. Yes the exterior of Jaguar XJ 2012 holds lightweight aluminum architecture and more importantly we would like to mention that 50% of same is made from recycled materials. 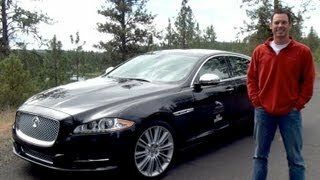 So with this we can say that the engineers took well care of resource, performance and space while designing Jaguar XJ 2012. The Jaguar XJ 2012 is mounted with 3.0 liter V6 engine, which is market specific. Though in common is that each of them is coupled to shift-by-wire, mated to six speed automatic transmission. The same gets controlled by either JaguarDrive Selector or the paddles placed on steering wheel. Being precise with this information it just means, the driver won’t have to take his hands off steering while driving. The above features very well depict the traits of Safety, spacious, comfort, entertainment, work and high performance. Now we believe you agreed to what we mentioned in beginning.